The Enzyme Washed Deluxe Chino Twill / Soft Nylon Mesh back cap is the ultimate trucker hat – Affordable and Reliable and it’s one our best selling caps because of it. You can’t go wrong with a chino trucker cap to use for custom embroidered logos and promotional branded headwear. 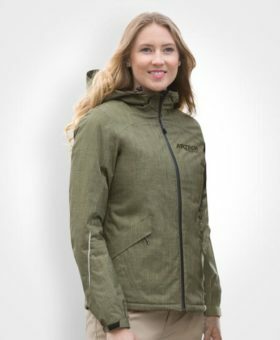 The classic Canadian brand Roots73 is a fit for a style conscientious corporate or sales teams and when you need warmth and comfort the Bridgewater Insulated Jacket with a detachable hood will put your business image out front. 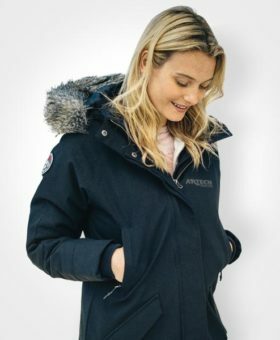 Add your logo to this ladies parka style coat with fishtail hem, critical seam sealing to keep out moisture and a waterproof, breathable membrane. Construction workwear that gets the job done. 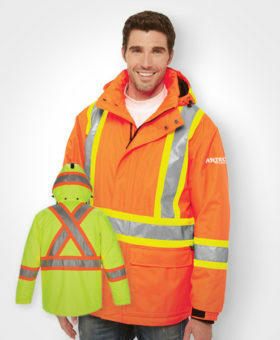 The Canada Sportswear hi-vis hoodie is the product for active building sites, offering the freedom to move while providing warmth and visibility. 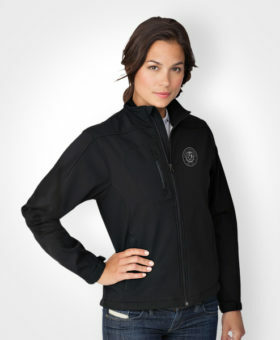 Buy the sweatshirts blank or add your logo.